Thank the heavens, we finally had a day of good weather in Hong Kong, and during the weekend as a bonus! The sorely missed sunshine had everyone heading out to get a tan, and enjoy the great outdoors without being rained on, myself included. PB and I hopped on the Monster and rode over to Shek O Beach for the first time this summer. The car parks were all full, and I have never seen so many umbrellas on the beach and people in the water. To our (well, more my) absolute delight, there are a couple of new places open, serving food and drinks to the thronging masses. 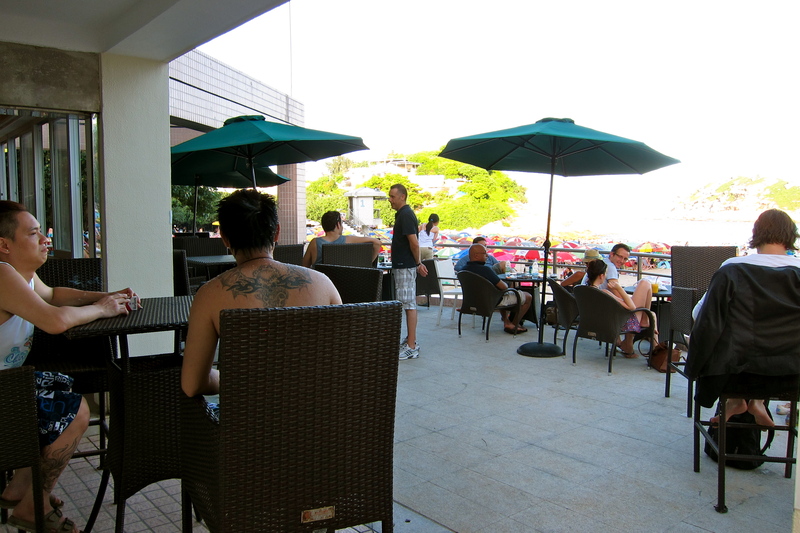 There are few good options in Shek O Village, and it really needs an injection of life into the restaurant/café scene. Whilst I didn’t eat any of the food at Coco Café or Ming’s Café, from what I saw it’s definitely worth a trip back for the food. 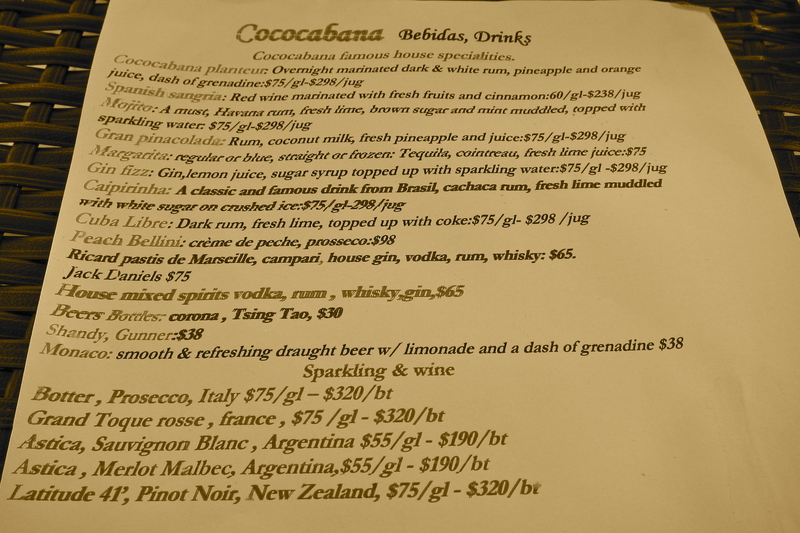 COCOCABANA IS BACK! 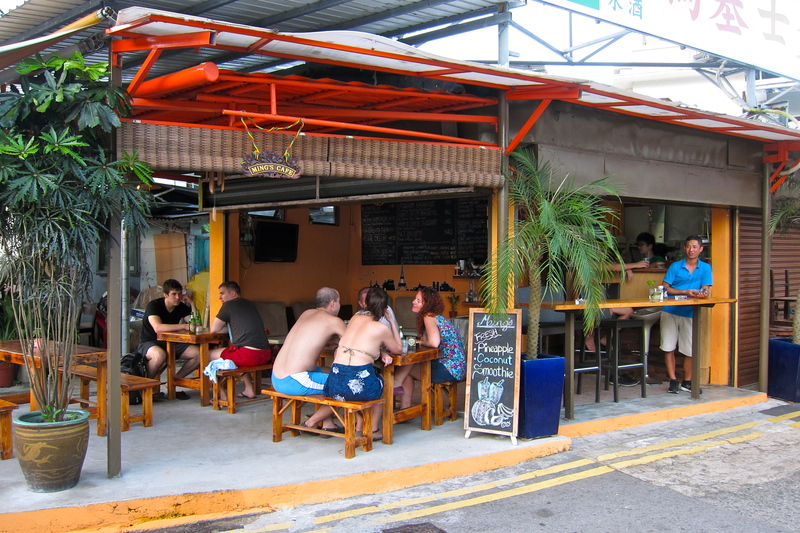 Located right next to the shower stalls and public changing rooms on Shek O Beach (location-wise, not much has changed from it’s time in Deep Water Bay! 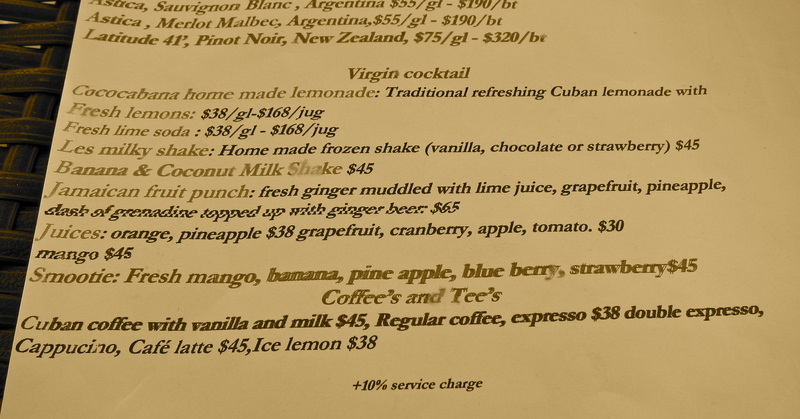 ), here you’ll find juices, smoothies and les milkshakes. We stopped by for an ice cold Corona, and sat on one of the high tables on the terrace. 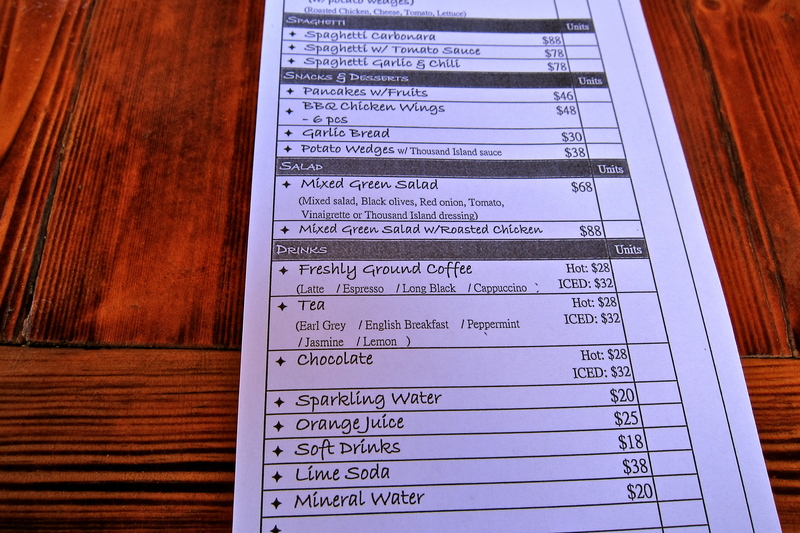 Food choice is limited but it looks decent – they had sample dishes on display at the bar to tempt people. The sweet crêpe selection looks good, but the choice of savory crêpes is not as tempting. 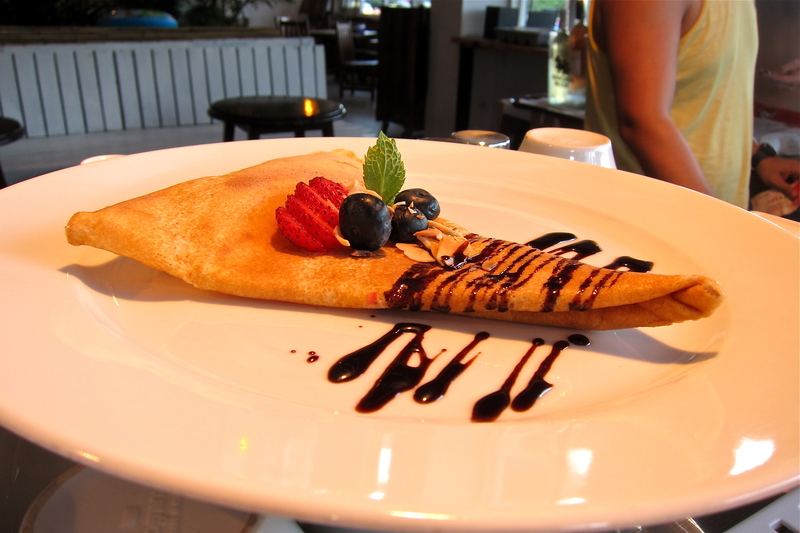 I won’t knock it ’til I try it – chili con carne crêpe anyone? 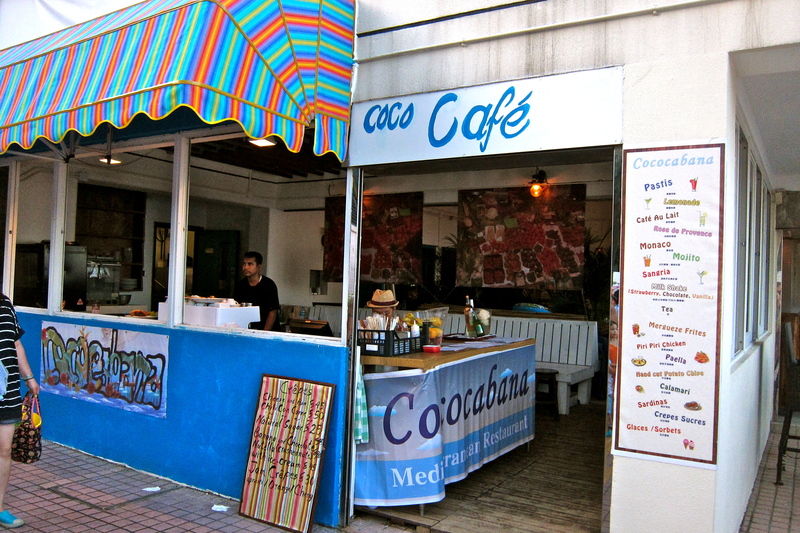 Coco Café opened its doors barely a month ago and is still under construction but they plan to be finished by next weekend. At the moment, they are only open on Saturdays and Sundays. 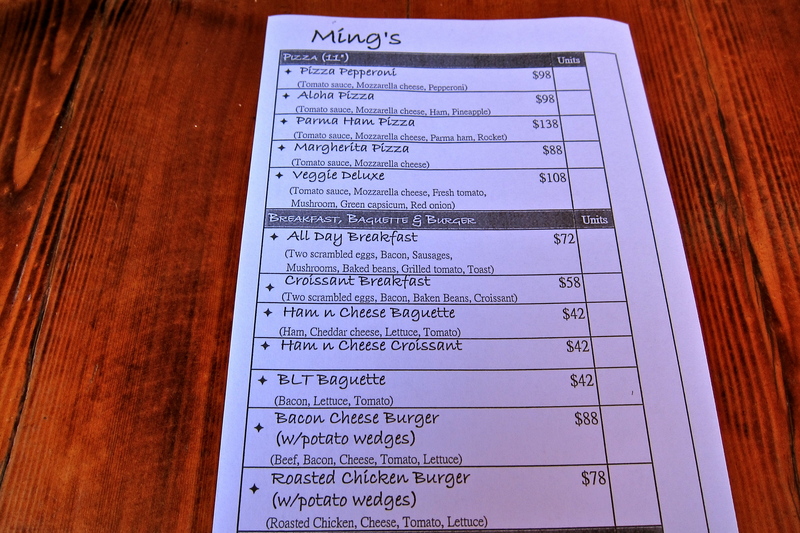 Ming’s cafe used to be a 士多 store selling water, beers and cigarettes, and they very wisely converted the space into a small café serving a basic menu of pizzas, pasta, sandwiches and an all day breakfast, as well as refreshing beverages. It’s completely open facade calls you in, with promises of pineapple and coconut smoothies. Unfortunately, they were sold out of the pineapple, but the coconut smoothie was out of this world, in fact I’m craving one right now. 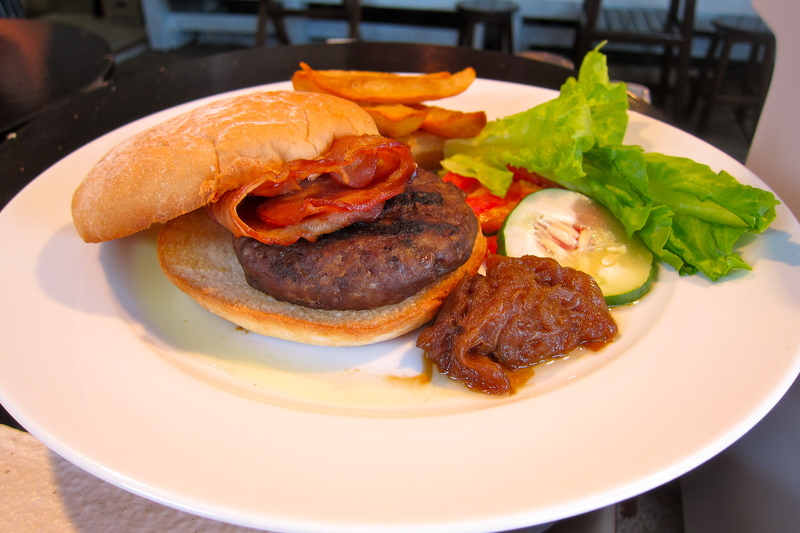 Someone was eating a burger on the next table, and it looks pretty decent. Service is very friendly and efficient. 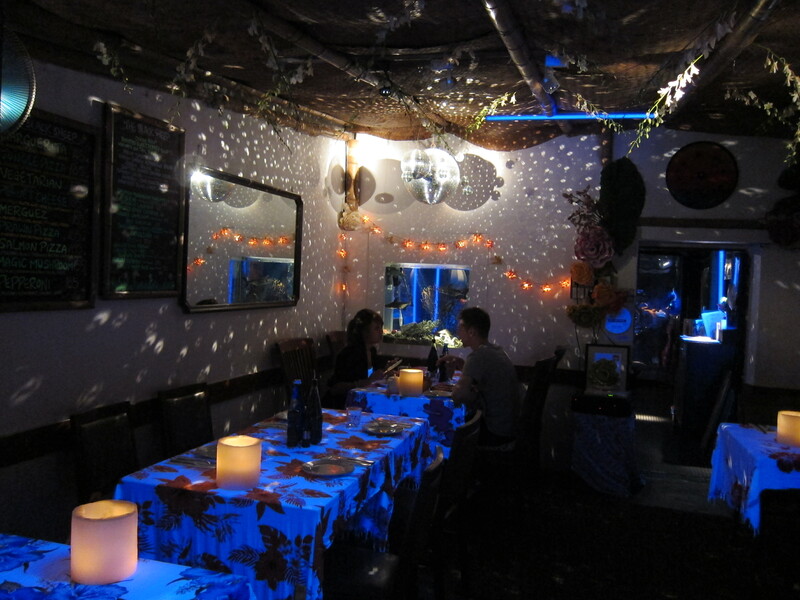 Try your luck to arrive and grab a table; they don’t take reservations – because they don’t have a phone! 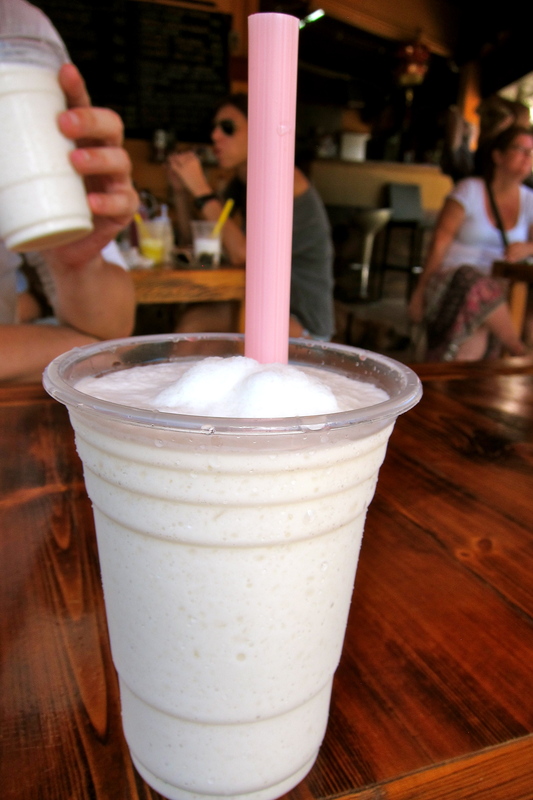 A super refreshing coconut smoothie! 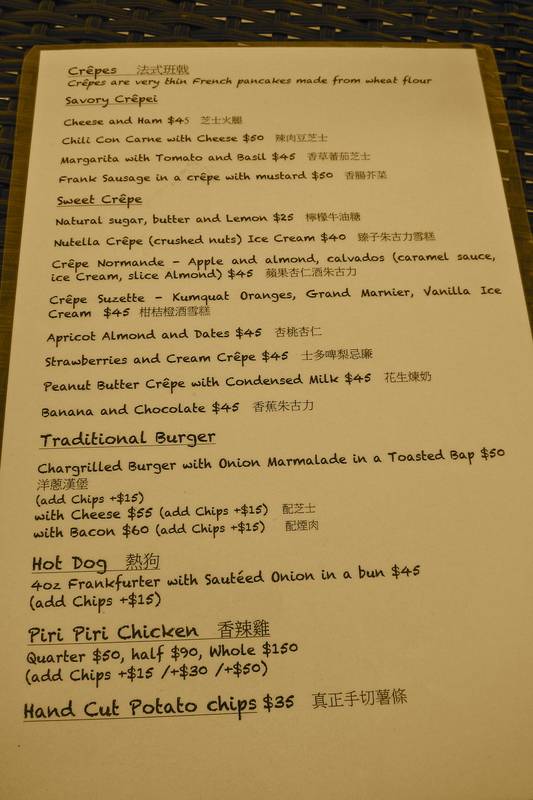 Black sheep is an old Shek O favorite, serving pizzas, pasta and other dishes. The decorator must have been smokin’ something when when he kitted out this space, but it certainly has some charm! 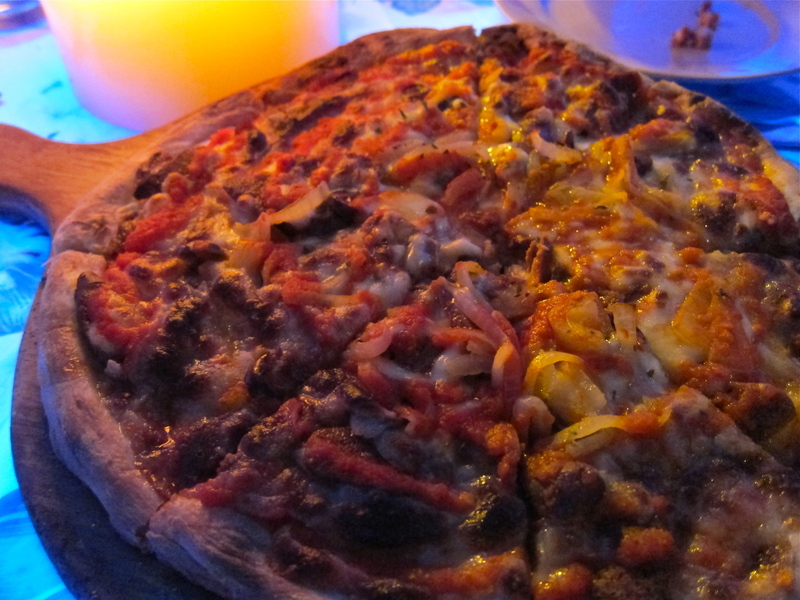 The merguez pizza is incredible, ask for their homemade chili oil for an extra kick. 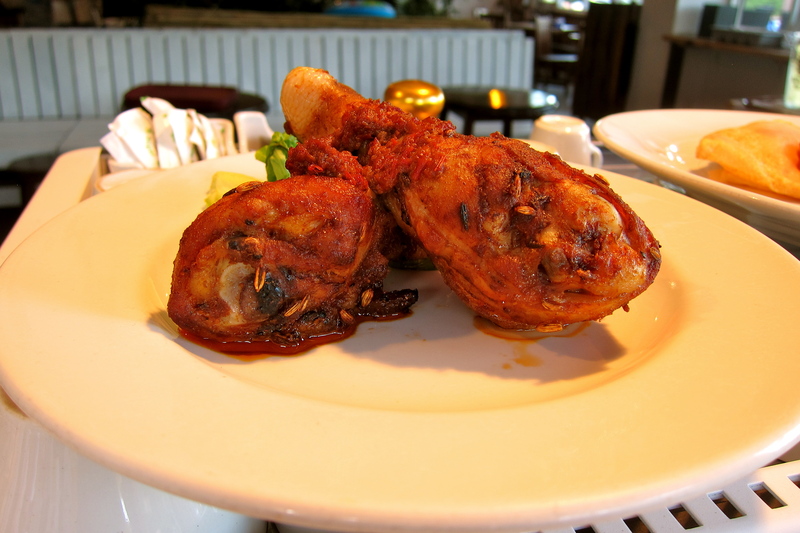 Check out more food pictures here. 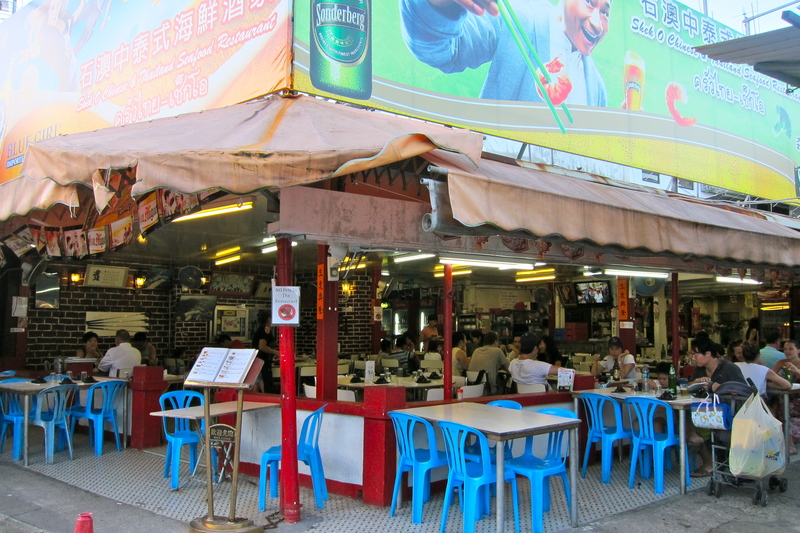 This restaurant is the largest of them all, and it is always packed at lunch time. 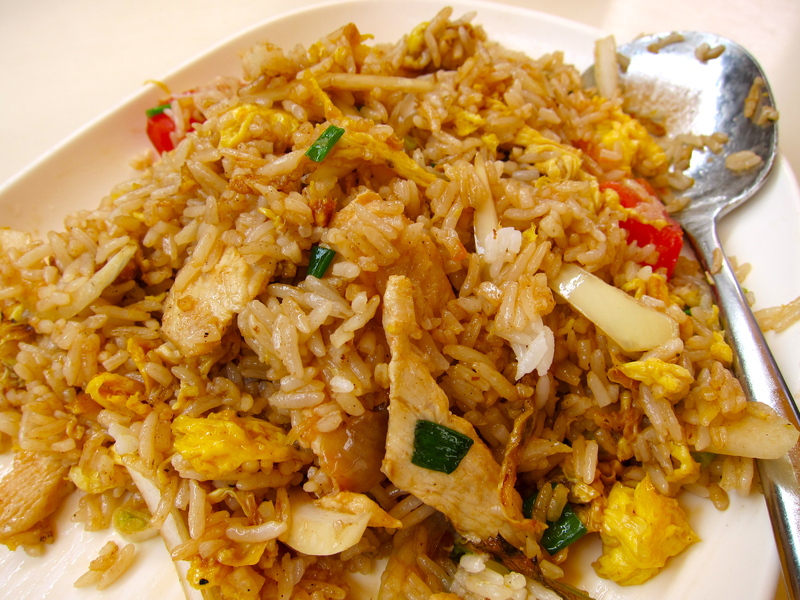 It’s not the best Thai food around, and sometimes the Chinese and Thai elements blend into one, but it’s well priced and if you’ve just been for a hike with friends, it’s a good option for a large group of people. 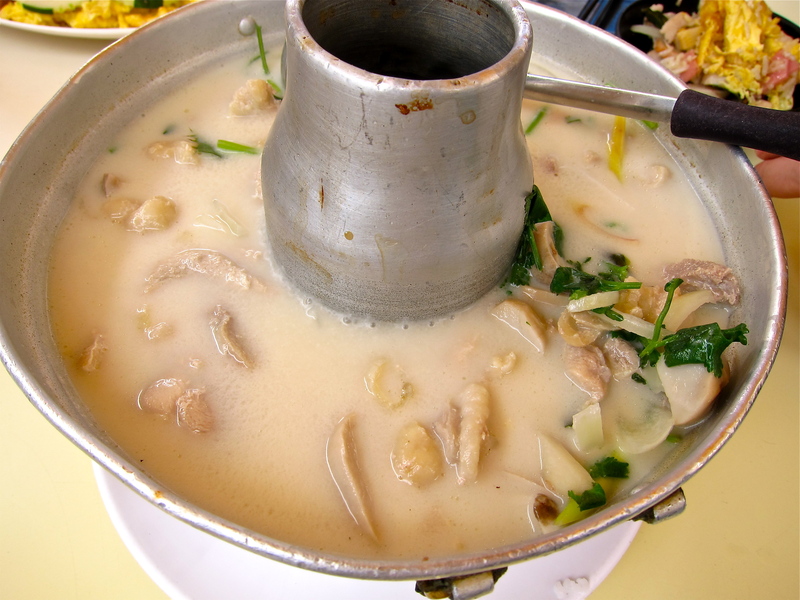 Tom Ka Gai, Thai grilled chicken and steamed fish are all pretty decent, and the menu is extensive. It might be best to call ahead and make a reservation if you go during the weekend. 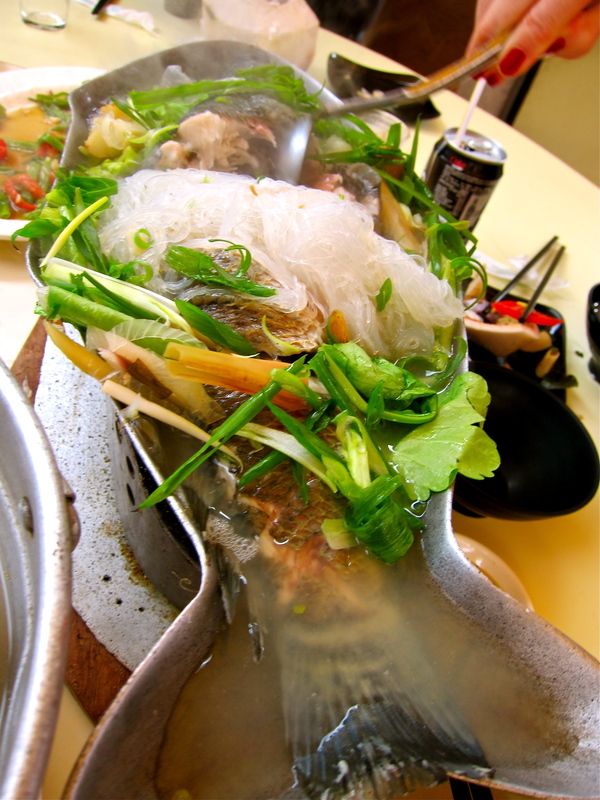 Pingback: Hong Kong Trip 2: Dragon’s Back, Shek-O, Din Tai Fung, IFC Mall | The World Is Waiting: Go!